Flip (change the sleeping surface) and rotate (turn 180° your mattress so the head end becomes the foot end and vise versa) your two-sided mattress every 6 weeks to enjoy both sleeping surfaces. Similar springs and fillings are placed on each sleeping surface. Placed on top of the mattress for added softness and comfort, the mattress topper moulds to the shape of your body to relieve pressure and prevent aches and pains. This type of mattress topper is ideal for those having back and joint problems. It is known to relieve pressure on joints and the spine with all-around support. The mattress topper features a removable cover that is easy to wash or replace. A removable cover is good for the topper to protect it from stains and dirt. The Topper is crafted in a way that allows its rolling. The air is removed from the package before it is sealed. All this aids in easy handling and delivery of the topper. When opening a vacuum packed topper, please allow 4 hours for its initial expansion. The topper is okay to use after this period however it will continue to expand (to a lesser degree) over the following 72 hours. Any odours from the packaging will be eliminated in the process. Orthopaedic mattress topper with 45 mm of quality Memory Foam. Includes protective dry cleanable Double Jersey zip-off Cover. Moulds to the shape of your body to relieve pressure and prevent aches and pains. Sometimes you may feel that your mattress is not that comfortable and you can’t sleep well because of it. With the help of the Soft Feel 5000 mattress topper, you can have a long and sound sleep without buying a new mattress. You simply have to put this on top of your current mattress and start enjoying a better night's sleep. The Soft Feel 5000 is an Orthopaedic mattress topper crafted with sanitised materials which make it hypoallergenic and Anti-Dust Mite. If you have allergies or asthma, this topper is perfect for you. This mattress topper conforms to all British fire regulations for your peace of mind. Does the product roll up for storage when not in use? 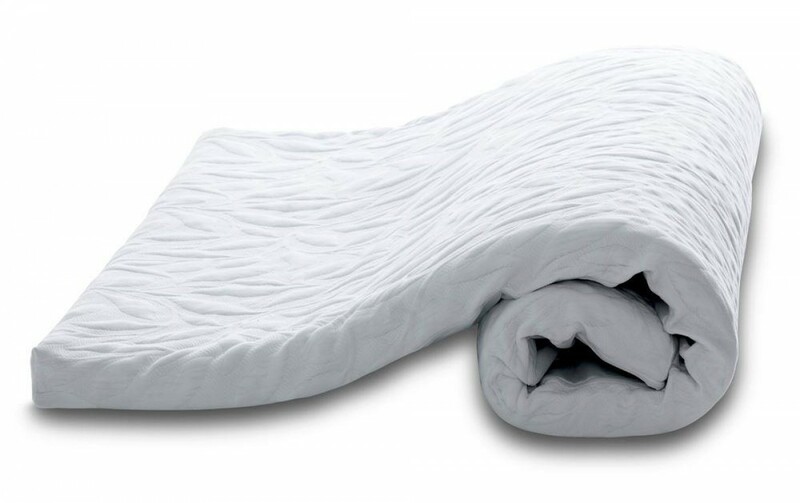 The Soft Feel 5000 Mattress Topper can be rolled up when not in use. The density of the Soft Feel 5000 Mattress Topper is 40kg/m^3. The Soft Feel 5000 Mattress Topper is held in place by the sheets that you put over it, your normal bedding, and the combined weight of the users pushing it down. Does this product provide support on top of a soft mattress or softness for a firm one? The Soft Feel 5000 Memory Foam Mattress Topper adds an softness to a firm bed with its memory foam design.